IRF founder Naik is also accused of subverting IRF funds for the production of objectionable programmes for Peace TV. 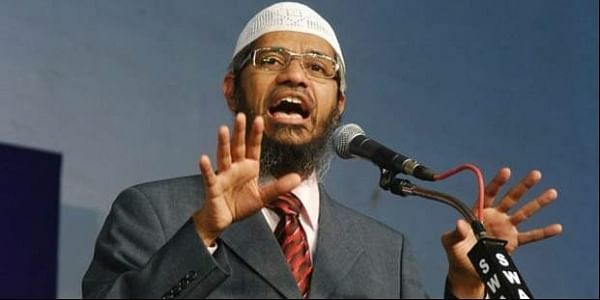 NEW DELHI: The NIA on Saturday carried out searches at10 premises of the banned Islamic Research Foundation (IRF) in Mumbai after registering a case against its founder Zakir Naik and others under the stringent Unlawful Activities (Prevention) Act and the Indian Penal Code. The agency has booked Naik on charges of inciting violence and promoting enmity between different religious groups. Searches began hours after NIA, Mumbai registered the case last night against Naik. The agency in association with the Mumbai police searched some office premises related to IRF and residential properties of the controversial Salafist televangelist. “We have seized several documents, hard discs and CDs from Naik’s home and offices and those are being examined,” an official said. “The FIR has been registered against Naik under the stringent UAPA and we will soon summon him to join the investigation. If he fails to do so then we will move the relevant court to declare him a proclaimed offender and that will allow us to attach his properties in Mumbai and elsewhere,” another NIA official said. Union home ministry sources said Naik’s arrest was imminent if he comes to India to join the probe. If he does not cooperate with the probe, next course of action will be initiated to make him face the law. The sources said the Enforcement Directorate has also swung into action and has sought from it documents relating to dubious activities of Naik’s NGOs so that the money laundering aspects could also be probed. “He has been booked under stringent non-bailable sections and it is unlikely that he will return to India anytime soon,” an official said, adding Interpol’s help will be sought to bring him here if fails to respond to NIA summons. The NIA said it had tapes of his hate speeches through which he had allegedly incited violence. “We will soon question Naik’s associates working in his NGO and will investigate the financial trail of the NGO and also examine the expenditure by Naik,” an official said. The case was registered by the NIA last night under Section 153-A of the IPC (promoting enmity between different groups on grounds of religion and doing acts prejudicial to maintenance of harmony) and certain provisions of anti-terror law UA(P)A. The NIA action comes days after the Cabinet Committee on Security decided to declare IRF an “unlawful association” under the UA (P)A and the Centre formally banned the outfit through a Gazette notification. Besides the Section 153-A, the NIA has booked IRF under Section 10, 13 and 18 of the UA(P)A. While Section 10 relates to penalty for being a member of an unlawful association, Section 13 provides for punishment for unlawful activities. Naik’s role came to the fore after the terror siege in Dhaka earlier this as two of the terrorists involved were found to be inspired by Naik's vitriolic speeches. Some of the missing youths from Mumbai suburbs, who had left their homes to join Islamic State earlier this year, were also reportedly inspired by him. According to the Gazette notification banning the IRF, the Government said that as many as five cases were already registered against it in various States. In the Gazette notification issued on Thursday, the Centre said it imposed a five-year ban on IRF for making derogatory statements against Hindu gods and extolling Al-Qaeda terrorist Osama bin Laden. The ministry said the IRF and its members particularly Naik, have been encouraging and aiding followers to promote or attempt to promote, on grounds of religion, disharmony or feelings of enmity, hatred or ill-will between different religious communities. Reports by Central as well as State agencies revealed dubious links between IRF and Peace TV, an Islamic channel promoted by Naik and linked to terror propaganda. Naik is also accused of subverting IRF funds for the production of objectionable programmes for Peace TV that has reportedly been engaged in preaching hard line Salafist form of Islam and luring youths into its insidious agenda.